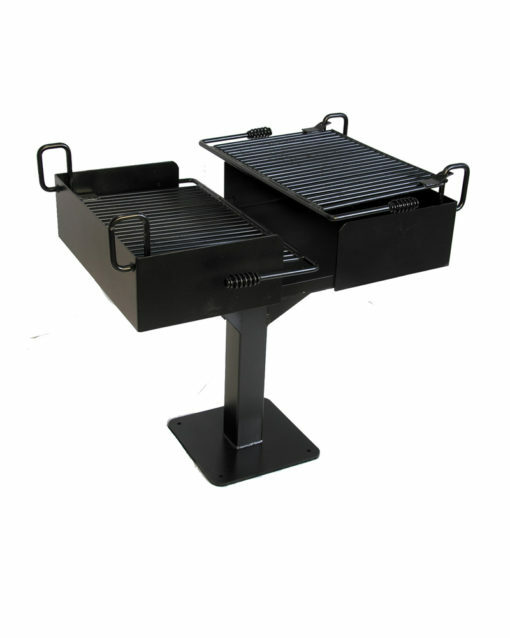 The 627 Cantilever grill is built for commercial use in parks and campgrounds with a total of 1,064 square inches of cooking area. 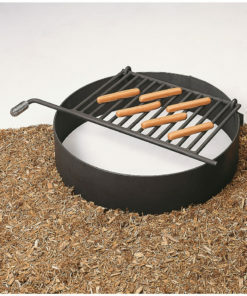 The flip back grates allow for easy cleaning after cookouts. 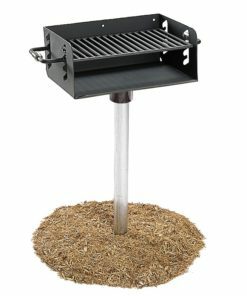 The grill is manufactured with a 3/16 inch steel plate for the fire box and 4 inch square tubing as the post support (in-ground or surface mount). 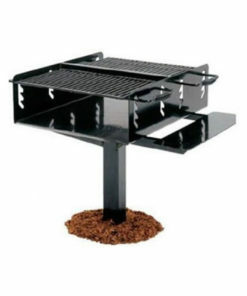 Grill is coated in standard nontoxic high temperature, rust-resistant black powder coating. Features a 7 gauge Base Plate and all MIG Welded. 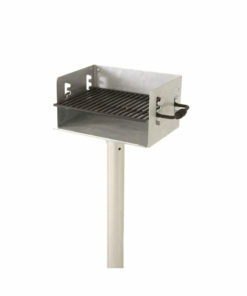 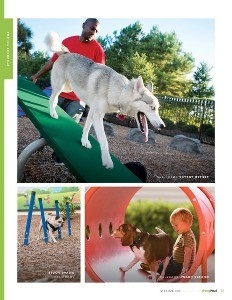 Grill can be in-ground or surface mounted.